Superheroes are all the rage and Moses has loomed large in Judeo-Christian storytelling. Not always the strong and courageous type, Moses first had to learn to hear God's voice and then to fill God's people with a new vision. Catherine Upchurch serves as the director of Little Rock Scripture Study and the general editor of the Little Rock Catholic Study Bible. Her work in adult faith formation involves writing, editing, lecturing, leading retreats and days of reflection. 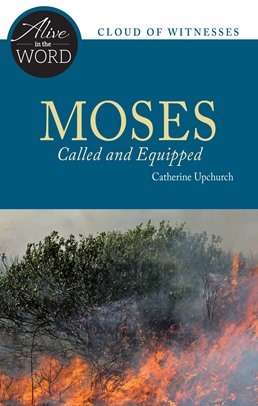 She is an associate editor of The Bible Today, a journal of biblical spirituality, and a contributor to Give Us This Day, published by Liturgical Press.